In this thought-provoking evangelistic tool, Subramanian, a real-life Hindu of the twentieth century, observes a fictitious conversation between two religious figures as they respond to each other’s views of the life and the afterlife. Soon, Subramanian joins in with hard question of his own. Meanwhile, Richard, a fictional character, eavesdrops, asking himself the most important question of all: "Does it really matter what I believe?" // Written by a Hindu who converted to Christianity, New Birth or Rebirth invites readers into a balanced and insightful dialogue between Jesus and a deity of the third largest religion in the world. 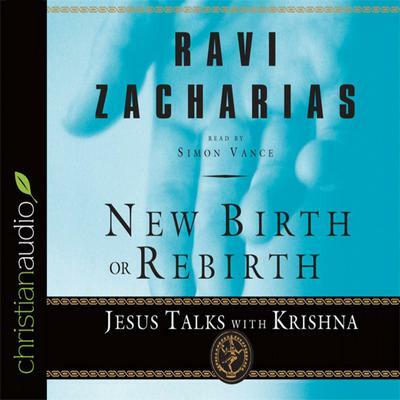 The fourth book in the Great Conversations series by Ravi Zacharias, this creative narrative is for readers interested in knowing the facts about Christianity and Hinduism-and in discovering why faith really matters.